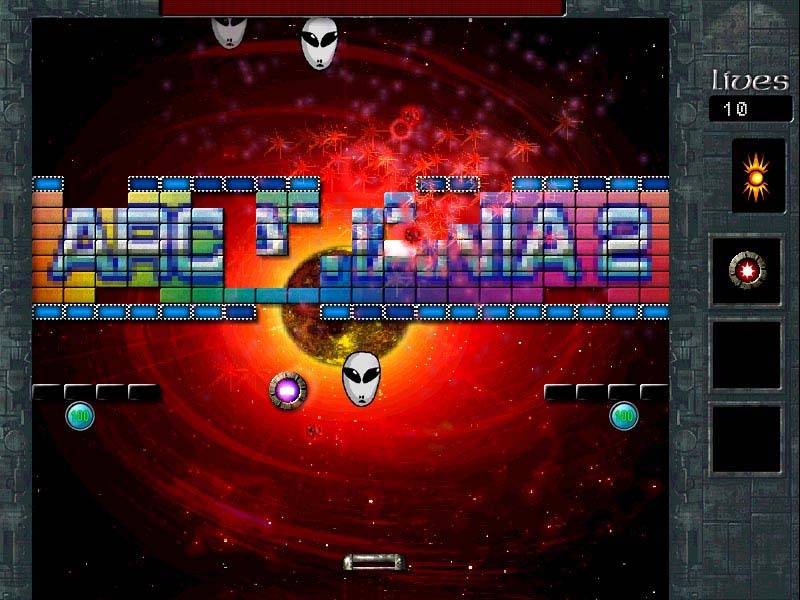 Family-fun brick-busting classic arkanoid clone with more than 100 great levels in 3 full graphic scenarios, over 30 bonuses, advanced aiming with your pad, monsters, a lot of bricks in Hi-color graphics, efects and sounds. Destroy all bricks while keeping the ball on the screen. Some bricks will give you over 30 special bonuses such as long pad, short pad, terminator ball, fast ball, triple ball etc. щали впредь этого не делать.